Chiang Rai is still one of Thailand’s best kept secrets. Even though there are so many fun things to see and do in the country’s northernmost province, the majority of tourists still stick to Chiang Mai when visiting this part of Thailand. Located about 820 km north of the capital Bangkok, you might choose your mean of transport very carefully. If you drive there all the way with your own vehicle it will take you around 10-12 hours, obviously depending on the traffic situation and how many stops you take along the way. 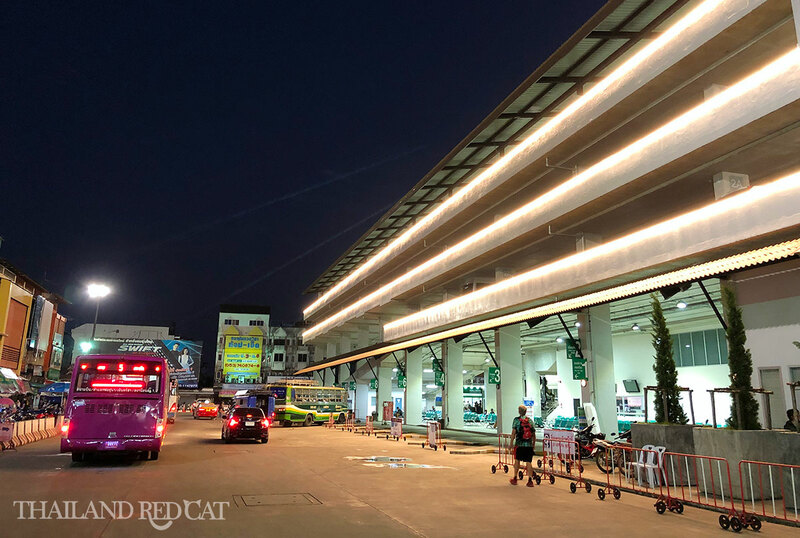 Buses to Chiang Rai leave from Bangkok’s Northern Bus Terminal also known as Chatuchak. To get there, take the BTS to Mo Chit station or MRT to Kamphaeng Phet station and from there by motorcycle taxi to the bus terminal (40-60 Baht) or city bus no. 3 (8 Baht). A metered taxi from Sukhumvit and Siam will cost about 130 Baht, from Khaosan about 150 Baht. There aren’t as many departures to Chiang Rai as compared to Chiang Mai, buses leave approximately every 2 to 3 hours throughout the day and there are also overnight services available that allow you to save both time and money for one night accommodation if you are on a holiday. Fares for the bus tickets depend on the type of coach (like standard, 2nd class aircon, VIP or First Class) and are in the 448 to 904 Baht range. The trip takes about 11 to 12 hours though it can be close to 10 hours if you take an overnight coach (less traffic). Most buses arrive at the Chiang Rai Bus Terminal 1 (picture) right in the town center. 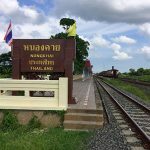 There is no railway line connecting Bangkok and Chiang Rai. The closest you can get by train is Chiang Mai. From there, buses run every 1-2 hours to Chiang Rai (about 300 Baht, 4 hours). Taking a flight in Thailand might not always be your most expensive option. 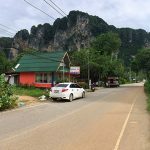 Especially the low cost carriers AirAsia, NokAir and Bangkok Air have the cheapest rates as low as 800 Baht one way if you get a promotion fare in the low season! More common though are one way fares between 1,000 and 1,500 Baht. Both AirAsia and NokAir depart from Don Mueang Airport while Bangkok Air departs from Suvarnabhumi Airport. 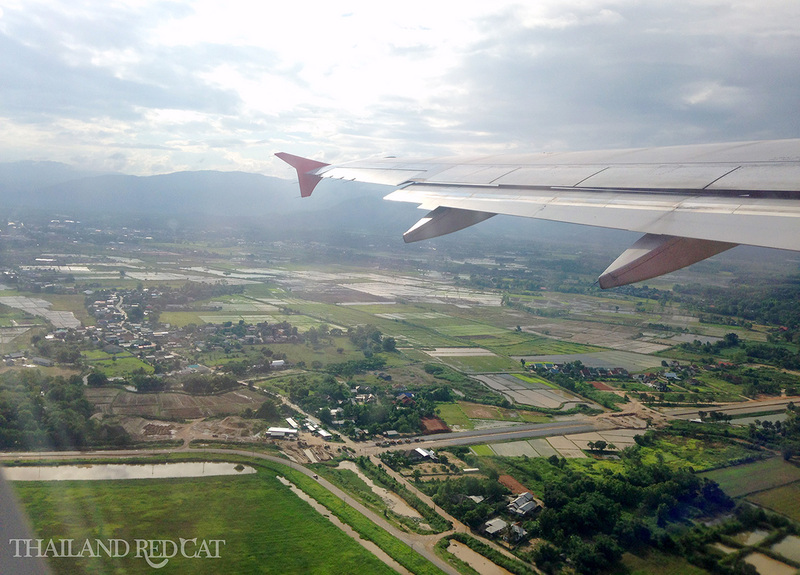 The flight time from Bangkok to Chiang Rai is 1 hour and 20 minutes. Chiang Rai International Airport is located 11 km northeast of the town center (see map below). Some hotels in Chiang Rai offer free pick up & drop off while most of them charge 300 Baht. I recommend you to just take the official airport bus – it costs 20 Baht and stops at several places in town.